In October 2009, I purchased a Palm Pre smart phone on the Sprint network. As a Sprint Premiere customer, I am eligible for upgrade pricing on new phones after the first year of the two-year contract, making now a good time to assess my experience with the Pre and webOS and whether or not to continue with it or look at a switch to Android or some other platform. My review will be presented in several parts over the next several days. With Hewlett-Packard (HP) recently completing their purchase of Palm, there is the expectation of new webOS devices on the horizon. 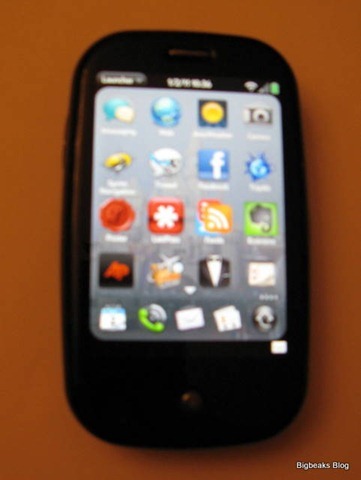 Late in 2010, the Pre 2 was announced along with the new 2.0 version of webOS. More new phone models and a tablet are expected during the first half of 2011, with announcements likely to be made at a press event HP has scheduled for February 9th. The Pre 2 is just a moderate upgrade to the specifications, but it does address a few of the nagging issues with the Pre. The OS update is pretty substantial and does add some nice new features, although most of those features will eventually be available on my current Pre as well via a firmware update. 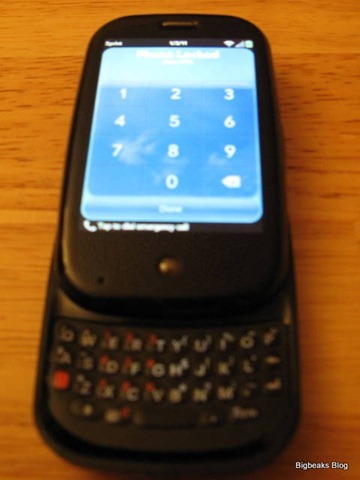 In the United States, the Pre 2 is currently only available in a costly unlocked GSM version, although a subsidized version on Verizon Wireless is expected soon. Right now, it doesn’t look too likely that other carriers are going to rush to pick it up. A new Sprint webOS phone could be announced later, but I may have to consider whether or not an upgraded Palm phone would justify changing carriers and paying the cost of the pro-rated early termination fee for the 2-year contract (or waiting until October to upgrade). I’ve found Sprint’s coverage near me to be spotty, though, so this may be worth considering. I’m going to go into much more detail about the pluses and minuses of the Pre and webOS over the rest of my review, but I’m going to also cut to the chase and give my current thinking right away. At this point, my plan is to sit tight for the time being and find out what new phones HP/Palm announces over the early part of 2011. I do believe that webOS has some strong advantages over the competition that I would hate to give up and I would like to give the company a chance to impress me on the hardware side. Upgrading to the Pre 2 right away would even be pretty tempting if it were available on Sprint, but I’m kind of glad it isn’t as I might be happier with a more advanced model. I should mention that actually started writing this review shortly after I purchased the phone and have worked on it periodically, adding new thoughts and observations as my experience with the phone has grown. Eventually, it felt like it had gotten to be old news, so I set it aside without completing it or posting. I feel that writing my review over more than a full year of use gives me a more meaningful perspective than if I had published a first-impressions review shortly after I got the phone. 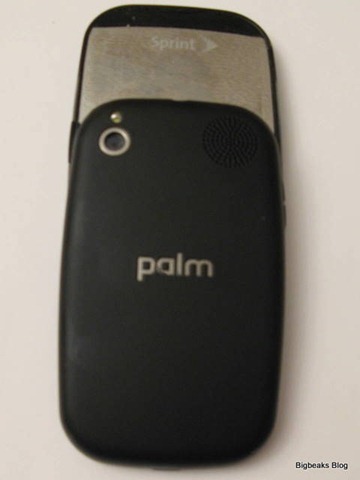 I have a pretty long history with Palm devices, starting with my first PDA: a work-issued Palm V back in 2000. Since then, I have owned a Palm VIIx (their first network-connected device), Palm Tungsten-W (a very early smartphone), Sony Clie UX-50 (Sony licensed Palm OS for PDAs at that time), a Palm Lifedrive (PDA with a 4GB hard drive) and a Treo 700P. While a couple of those were among the worst designed models that Palm has put out, particularly the Tungsten-W and Lifedrive, I definitely have a strong affinity to Palm’s approach to the design of PDA/phones. In late 2008, I became frustrated with the limitations of the badly aging Palm OS and switched to a high-end (at the time) Windows Mobile phone: the HTC Touch Pro. While that phone was very powerful and feature rich, I pretty quickly became frustrated by the slow, clunky, and inconsistent user interface and the general instability of the OS whenever I tried to do anything overly complicated with it. In addition, Apple’s iPhone had largely re-defined the user interface for a phone and I couldn’t help feeling that I was using a seriously outdated operating system, particularly after my wife got an iPhone allowing me to gain some more direct experience with it. While many of the technical specs of the Touch Pro are still higher than the Pre, the Palm phone definitely feels much more modern and elegant. I was interested in Palm’s webOS operating system as soon as they announced it at the Consumer Electronics Show in January 2009 and I followed the reviews and other coverage of the platform very closely, particularly after the official launch of the Pre in the early-summer. I wasn’t eligible for a reasonably priced upgrade until October 1, which gave me a fair amount of time to monitor the progress of webOS and the Pre as well as its major competitors (particularly the Google-sponsored Android OS) before making a purchase decision. Eventually, I realized that the webOS seemed to combine many of the good ideas that I’ve long found appealing about the iPhone, while addressing the biggest issues that have kept me from deciding to jump onto that bandwagon. In particular, the inclusion of a physical keyboard, the generally more open approach to 3rd party development and the better support for multitasking were important advantages. My research also indicated that the new OS still reflected some of the strengths that I had long associated with Palm, particularly a good balance between ease of use and flexibility/power as well as very innovative control over personal information management (PIM) data such as calendars and contacts. The Pre has a sleek, minimalist design that I find to be both visually attractive and comfortable to use. This phone is much smaller than my previous smart phones and is comparable in size to (if a bit wider than) non-PDA cell phones that I’ve owned in the past. Comparing it to my wife’s iPhone, it is a tad thicker, but its other dimensions are definitely smaller, at least when the keyboard slider is closed. This phone fits in my pants pocket much more comfortably than either the Touch Pro or the Treo 700p did. As I mentioned, the design is very minimalist with a tiny speaker grille above and a single inconspicuous button (which has been eliminated on the Pre 2 and the earlier Verizon/AT&T Pre Plus) below the screen, which is flush with the case. The case itself is all glossy black and there are no logos or other branding on the front of the unit. The back cover is also very uncluttered with just the Palm branding in the center and the camera lens and flash up at the top left and a speaker grille on the top right. 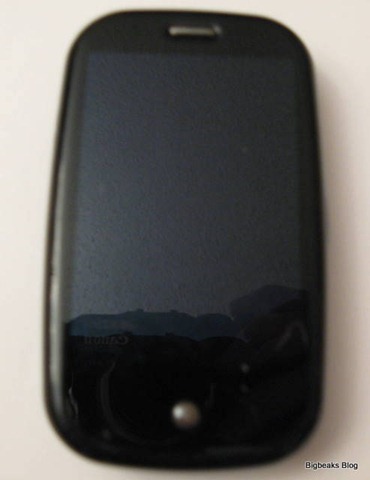 The Sprint branding is limited to an often hidden logo on the back, on the part of the phone exposed when the slider is opened. The top of the unit has a headphone jack, a ringer switch, and the power button. Small volume buttons are on the left side and a covered micro-USB/charging port is on the right side. This design is remarkably uncluttered, although this can actually work a bit against ease of use. The unit is so nearly symmetrical that I sometimes initially get it upside-down right after I pick it up. Some of the external controls and ports are not always immediately easy to find as well. I’ve had to feel around a bit to find the right spot for the power control and have accidentally flipped the ringer switch occasionally while trying to turn the unit on and off. All of this becomes mostly second nature with more use, although I’ve found that those problems don’t fully go away. My biggest complaint about the Pre from a hardware standpoint is that the build isn’t as solid as it should be. It definitely feels less solidly built than the Touch Pro or the iPhone and the plastic screen isn’t nearly as durable as the iPhone’s glass and does have a few scratches after over a year of use. The Pre 2 promises to address these issues quite a bit with a switch to a glass screen as well as an overall sturdy design. This is rather appealing as I really do like the basic form factor of the Pre. I hope that they will stick with the stronger aspects of the design as they upgrade the hardware in newer models. One still unique feature of the Pre is the Touchstone charger , a small cylinder that you simply set the phone on to charge it via induction. The Touchstone is an optional accessory with an original suggested retail price of $69, but it is pretty easy to find one for much lower prices now. At the time I’m writing this, Amazon currently charges just under $30. To use the Touchstone, you have to replace the Pre’s glossy back with a more rubberized back that is included with the charger (and will be included in the box with the Pre 2). I actually find this back preferable as it is provides a somewhat better grip on the phone. I wasn’t sure how big a deal the Touchstone would be at first, but I now find the idea of going back to a cable-based charger or even a more traditional docking station to be very unappealing. In fact, I would consider the Touchstone to be one of the strongest arguments against switching platforms, considering that the equivalent isn’t really available anywhere else. The Touchstone is such a convenient way to charge the phone that I ended up buying 3 of them, one each for the bedroom and living room at home and one for my desk at work. The charger is so small that it easily fits into a travel bag or briefcase for use on the road as well. One small complaint is that the Pre’s screen always displays a fairly large display of the current time while on the Touchstone and there is no option to turn it off. This is pretty bright and a definite annoyance when the Touchstone is being used in a bedroom at night. There is a “homebrew” application (not in the official Palm catalog) called Brightness Unlinked that solves this problem. That can be difficult to find and install for inexperienced users, though, and Palm really should make this option available officially instead. The new webOS 2.0 promises the addition of a feature called “Exhibition” that gives users extensive control over what is on the screen while the phone is on the Touchstone. As described, any application can be programmed to use this feature and create specific displays for the when the phone is on the Touchstone. This could be stock quotes, news and weather reports, photos, calendar information, or pretty much anything that comes to mind. Hopefully this will also finally include a built-in option to turn the screen off completely, if that is what is preferred. The relatively small keyboard and the choice to use a vertical instead of horizontal slider has always been a somewhat controversial aspect of the Pre. I honestly have found that I rather like this keyboard design, though, and I hope they don’t abandon the design fully as they move towards more advanced models. As far as I can tell from the photos and reviews that I’ve seen, the keyboard on the Pre 2 isn’t substantially changed ,so I’m sure that will be a source of criticism for the new model as well. The keyboard is definitely small, but I’ve found it to be usable. I vastly prefer physical keyboards on a smart phone to on-screen virtual ones, but I’ve also found that my productivity doesn’t vary that much with the size of the keys. The keys are much smaller and more closely spaced than the keys on the Touch Pro, but I really haven’t found typing to be noticeably slower or less accurate. The keys have a pretty good feel and the lay-out is generally good. I do prefer dedicated number rows on thumb keyboards, but the lack here is far from a deal breaker for me. While webOS does not currently offer a virtual keyboard as an alternative to sliding out the physical one, early reports have shown that webOS 2.0 does include one as a hidden feature that, presumably, will be activated on models that need it. I do think it is something they should add for regular slider-based phones like the Pre as there are occasions where bringing up a virtual keyboard for quick searches or small bits of data entry would be preferable to opening the slider. There are a lot of rumors that a slate phone with no keyboard could be in the works from HP/Palm. I think that is a good idea as there are clearly those that prefer that kind of phone and the more choices available, the more market there is for webOS phones. I’ve always felt that Apple’s decision to only offer a single form factor is among the biggest limitations to the iPhone. As they do introduce no-keyboard phones, I hope they maintain parity in features and capabilities with the keyboard phones. I certainly would hate to have to, for example, choose between a physical keyboard and a higher resolution screen or faster 4G networking. 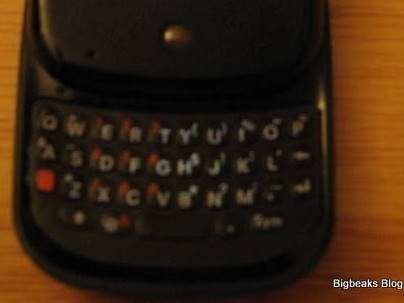 One more keyboard option will become available with the release of webOS 2.0, which is the ability to connect to Bluetooth keyboards. I did occasionally make use of Bluetooth keyboards with some of my older Palm OS devices and can see value to having that option available for longer emails, working on blog posts, or document-editing, once that capability is available (lack of document editing software is one of the biggest shortcomings of webOS right now). On the other hand, at least for me, it now seems much less likely that there will be too many cases where I would have a wireless keyboard available but not a laptop or desktop computer or a tablet. Ultimately, I strongly suspect this feature is more of a preparation for the webOS-based tablet that HP is promising for next year than something that the phone really needs. Coming up in part 2: User-interface, Launcher, and Multi-tasking.